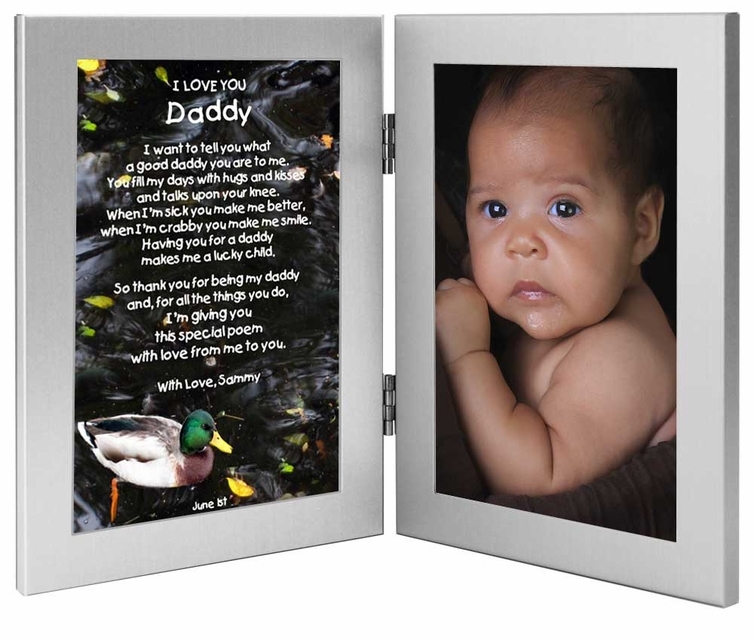 This double frame has a "Daddy" personalized poem on left side and an area for a 4x6 inch photo on the right side. 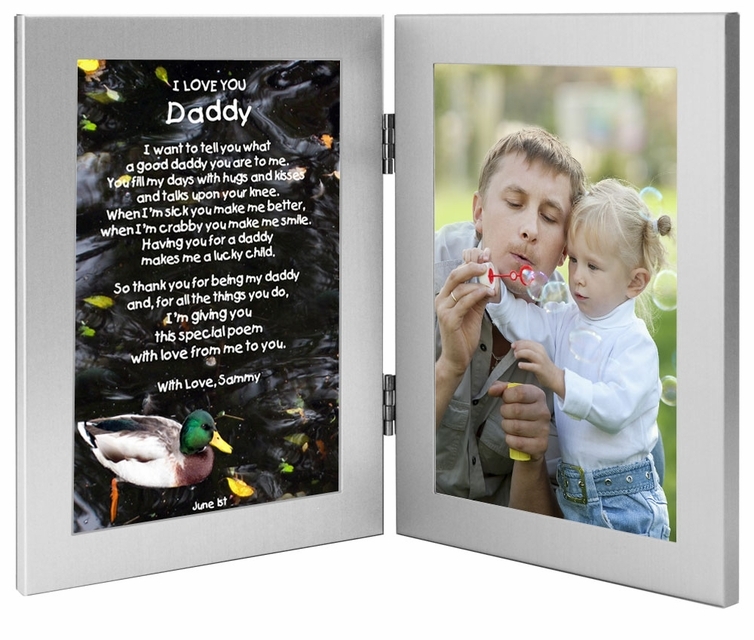 Makes a cute birthday or Father's Day keepsake because of the combination of a poem written in kids typeface and a photo. 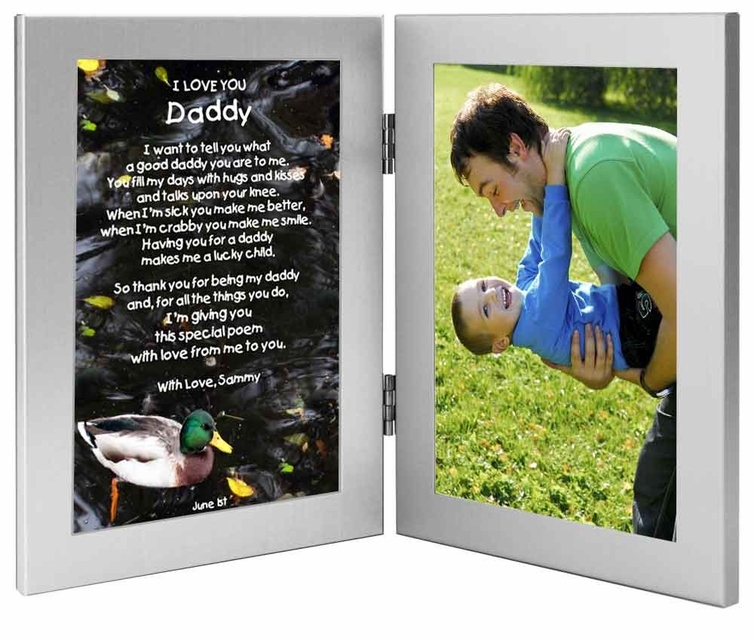 This Poetry Gift makes a welcome gift to a proud Daddy to celebrate his role as Dad. 1. Phrase Above Name - Examples: I Love You; etc. 2. Name(s) - Examples: Daddy; Dad; etc. 3. Closing Phrase & Your Name(s) as seen after poem - Examples: Love, Johnny; Luv U Daddy, Alison; etc..
a good daddy you are to me. and talks upon your knee. when I'm crabby you make me smile. makes me a lucky child.